Oftentimes this letter can be presented along with one of our Credentials of Ordination to the county clerk in person to register you to officiate a wedding. 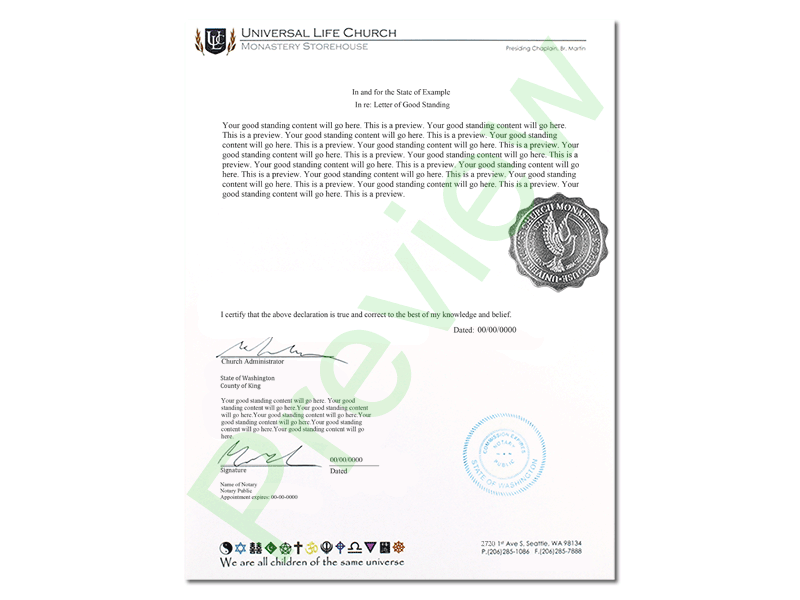 Requesting a Letter of Good Standing is acknowledgment of your Universal Life Church ordination. This notarized letter bears the live signatures of the authorized church officials.